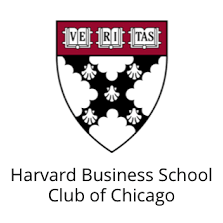 The HBS Club of Chicago Leadership Fund invites you to join them for networking and a discussion on non-profit board membership. Are you interested in learning about joining a non-profit board? Are you a non-profit leader looking to recruit board members? Are you concerned about the time, money and other commitments of board involvement? Come learn what it takes to join a Non-Profit board. The event will feature a panel of distinguished non-profit leaders who will share what they look for in board members and provide an opportunity for you to learn more about non-profit board membership.